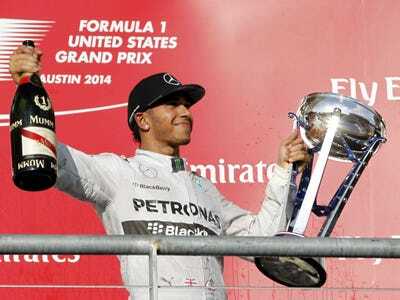 REUTERS/Mike StoneMercedes Formula One driver Lewis Hamilton of Britain holds up his trophy and a bottle of Champagne after winning the F1 United States Grand Prix . As Formula One’s field of drivers chase England’s Lewis Hamilton around the race track at this weekend’s season-ending Abu Dhabi Grand Prix, Hamilton will be chasing the record books. Southeast England is the Mecca of Formula One. It is home of virtually every team including Hamilton’s dominant Mercedes-AMG Team. With 32 career wins and counting, Hamilton recently surpassed 1992 World Champion Nigel Mansel to become the winningest British racer in the sport’s history. Hamilton 10 victories this season makes 2014 the winningest year of his career — even more than his 5-victory World Championship-winning 2008 campaign. However, Hamilton has bigger fish to fry. The 29-year-old from Stevenage wants to be the sport’s top dog — again. Since his title-winning 2008 effort, he’s seen his throne usurped by fellow Britain Jenson Button in 2009, followed by four-straight titles by the sport’s current boy king, Germany’s Sebastian Vettel. Once deemed to be the hottest young star in the sport, Hamilton has since developed in to a seasoned veteran in the prime of his career. With a 33rd career victory this weekend, Lewis will guarantee a his place in the history books and become the first British driver to win a second title since Scotland’s Sir Jackie Stewart won the second if his trio of crowns in 1971. 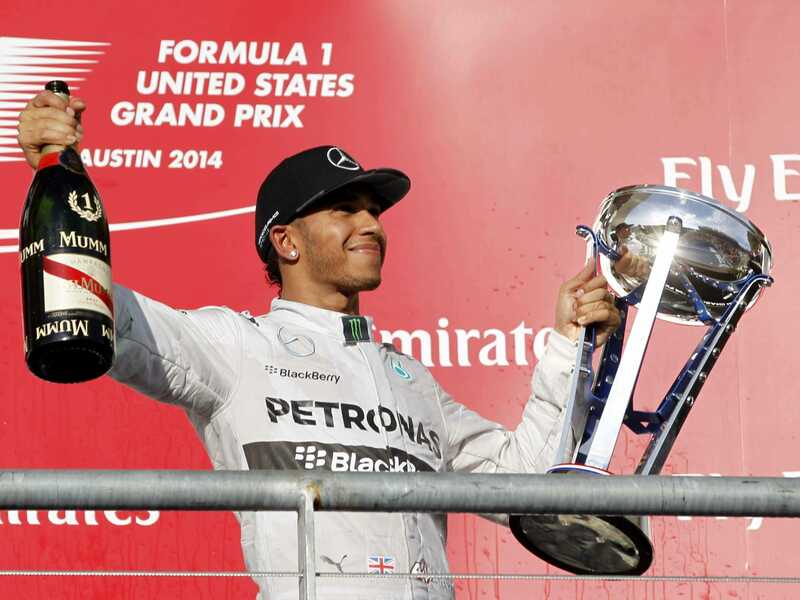 In addition, Hamilton will become be the first English double world champion since the legendary Graham Hill in 1968. In all, only 15 drivers in the history of the sport have been crowned champion more than once. If Lewis Hamilton wins the 2014 Abu Dhabi Grand Prix, he’ll shake his current status as “just” a superstar and assume his position as one the sport’s true greats. Here is the esteemed company Hamilton will join if is he is crowned World Champion for a second time. 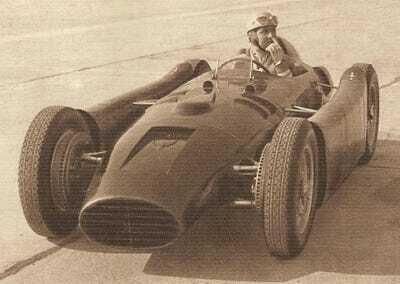 Wikimedia CommonsAscari in his 1954 Lancia D50. Ascari was one F1’s first stars and help put Ferrari on the map in early 1950s by winning 13 races on his way back-to-back titles in 1952 and 1953. The talent Ascari could have won many more time, but his life was tragically cut short when he was killed in a crash in 1955. In addition to his victories and championship, he inspired a young boy from northern Italy to become a racer. You may have heard of him — Mario Andretti. Wikimedia CommonsGraham Hill in the middle of a conversation at the 1971 Dutch Grand Prix. 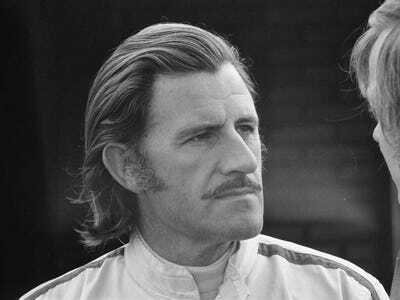 During the 1960s, there were few stars as big as 1962 and 1968 world champion Graham Hill. In addition to F1, Hill also complete the triple crown of auto-racing by winning the 1966 Indianapolis 500 and 1972 24 Hours of LeMans. Hill was killed in a plane crash in 1975. 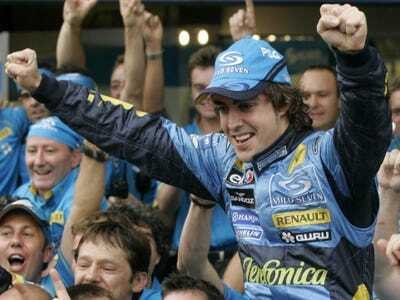 He was the father of 1995 F1 World Champion Damon Hill. In the years since his death at the age of 32 in 1968, Jim Clark has reached near mythical status. This is for good reason. Widely touted as one of most naturally talented racers ever to get behind the wheel, Clark won 25 of the 72 F1 races he entered — on his way to titles in 1953 and ’65. In addition, to the F1 title, Clark also won the Indy 500 that year. 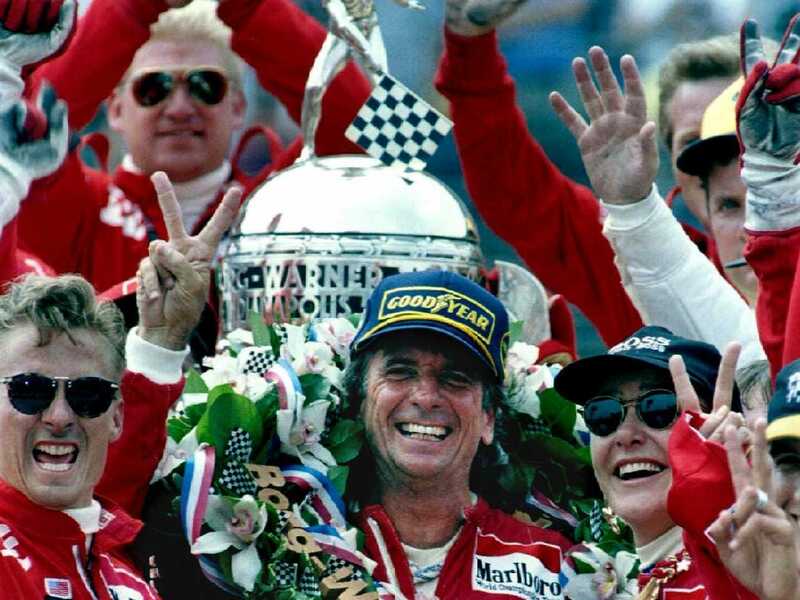 REUTERSIndianapolis 500 champion Emerson Fittipaldi (center) gives a ‘V for Victory’ sign as he stands victorious in front of the Borg Warner trophy after winning the 1993 Indy 500. Fittipaldi took home the F1 crown in both 1972 and ’74. Over the course of his decade long F1 career, the Sao Paulo-native won a total of 14 races. The skillful Brazilian left F1 in 1980 — taking his talents to IndyCar. Fittipaldi capped off his career with a dozen successful seasons in the U.S. including an IndyCar championship in 1989 along with a pair of Indy 500 wins in 1989 and ’93. 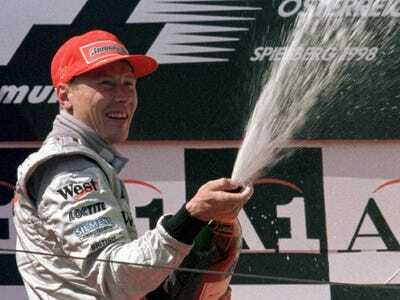 REUTERSMika Hakkinen of Finland sprays Champagne on the podium after winning the 1998 Austrian Grand Prix. The affable Finn helped launch McLaren-Mercedes’ resurgence in the late 1990s by winning back-to-back championships in 1998 and ’99. Hakkinen’s decade-long F1 career — including 20 race victories — will be most remembered for his back and forth rivalry with 7-time World Champion Michael Schumacher and his bright red Ferrari. REUTERSAlonso celebrates his 2005 F1 World Championship on the shoulder of his crew. Alonso is the only active F1 driver on this list and was once Hamilton’s teammate at McLaren. Like Hakkinen, the speedy Spaniard won his pair of world titles — in 2005 and ’06 — the hard way, by facing down Ferrari’s Michael Schumacher. So far, Alonso has an impressive 32 victories to his name and counting. Next season, Alonso will leave Ferrari and return to McLaren-Honda. If you have any recollection of Formula One in the late 1980s, you’ll remember that’s one heck of a potent combination.